It is rare to find a band who are a force of nature right from their outset. 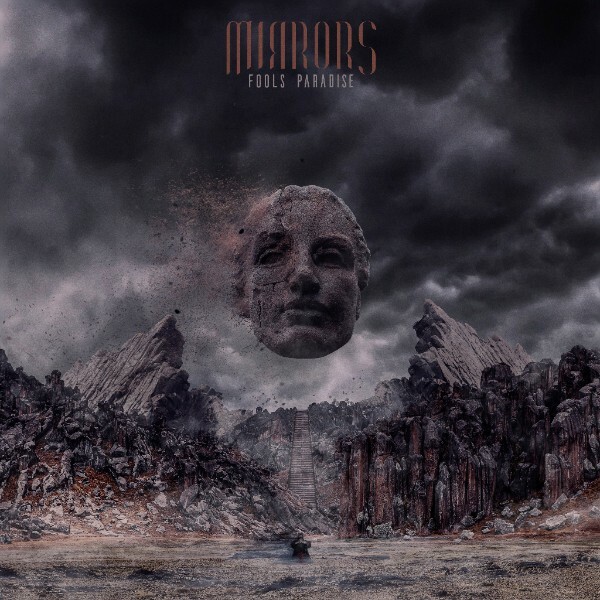 Forging their own sound and putting their own bent on their chosen genre from the inception of the band - only forming in mid-2016, mind you - regional Victoria's Mirrors have crafted their EP Fools Paradise out of very heavy stuff indeed. The new single Tie the Lace is the second cut released by the four-piece and will be a part of the six-track release, due to drop on Friday 17th March. A film clip for Tie the Lace and EP tour dates will be coming in the very near future. The release is available to pre-order from today on iTunes and purchasers will get brand new track Tie the Lace immediately. The EP will be available in iTunes, Spotify and all good online stores. Fools Paradise can be pre-ordered at iTunes HERE. The metalcore four-piece from Gippsland, regional Victoria are Patrick Goodman (vocals), Tyson Taifer (guitar), Jake Mackin (bass), Daniel Balakas (drums). The Fools Paradise EP was recorded and mixed at Zanari Records with Ionei Heckenberg (from Ocean Sleeper) and Mastered at Interlace Studios by Kris Krummet. The EP also features guest vocals by prominent heavy scene legends Zach Britt (Dream On, Dreamer & Young Lions) on track Waiting and David Vernon (Belle Haven) on track Bring Me Home. Patrick Goodman, vocalist for Mirrors, describes what the Fools Paradise EP is all about. "In a world that seems to be driven by acts of greed, ego and self-righteousness, it is imperative to find those friends and family who bring you home and centre you. The Fools Paradise EP is about that journey to find happiness in one's self and with those important people in your life."